Every year during the Lucy Maud Montgomery Reading Challenge I try to dig up new information about Maud and her world that I never knew before. (I also like to refresh my memory of what I already know.) This, aside from just enjoying the pleasures of a good L.M. Montgomery read. In an effort to learn more about Montgomery herself, I asked a few other people if they would share information about their work as it relates to this author. Mary Beth Cavert kindly agreed to share some information about The L.M. Montgomery Literary Society which you can read about below. The L. M. Montgomery Literary Society is a group of readers with a special interest in the life of Canadian author Lucy Maud Montgomery (1874 – 1942), her first novel, Anne of Green Gables, her many books and short stories, and personal papers. The Literary Society was organized in 1991 by Carolyn Strom Collins and Christina Wyss Eriksson after the publication of their first collaboration, Anne of Green Gables Treasury . The first meeting was held on Montgomery’s birthdate, November 30, at the Children’s Literature Research Collections at the University of Minnesota. About thirty people shared their interest in Montgomery’s work and examined the collection of Montgomery books in the Kerlan Collection. Carolyn and Christina asked Mary Beth Cavert to write a newsletter for the society in February 1992 and they chose to name it The Shining Scroll, after a line in the poem that inspired Montgomery to persevere in her dream of becoming a successful writer. The Society has grown to include hundreds of members and contributors from all over the world. The Shining Scroll has been expanded as a periodical of the L.M. Montgomery Literary Society. It is distributed once a year with special articles and research by the Society’s members and friends, newly published books and events related to Montgomery, and news from Montgomery sites in Prince Edward Island and Ontario. The principal writers for The Shining Scroll are Mary Beth Cavert, Carolyn Collins, and Christy Woster. Articles from almost all the issues are available online at the web site of the L.M. Montgomery Institute [search by title Shining Scroll http://www.lmmontgomery.ca/citations ]. 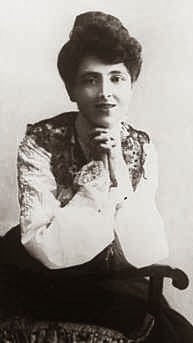 Carolyn Strom Collins has authored several books and articles on Anne of Green Gables and L. M. Montgomery: The Anne Of Green Gables Treasury, The Anne Of Green Gables Christmas Treasury and The Anne Of Green Gables Treasury Of Days and wrote the chapters on “Green Gables” and Maud’s “Scrapbooks” for The Lucy Maud Montgomery Album. She has also authored companion volumes (with Christina Eriksson) to Little Women, The Secret Garden, and Laura Ingalls Wilder’s Little House books. Collins founded the L. M. Montgomery Literary Society of Minnesota in 1991 and co-edits its newsletter The Shining Scroll. Collins has been on staff at the L. M. Montgomery Heritage Museum in Park Corner, PEI, since 1998 and conducts programs based on the Anne of Green Gables books at the Museum in the summer months. She has presented papers at the L. M. Montgomery International Symposia and was the invited speaker at the 2006 L. M. Montgomery Memorial Service in Cavendish. The L.M. Montgomery members are founders of the Friends of the L.M. Montgomery Institute and conduct fund-raising auctions at the biennial Montgomery conferences at the University of Prince Edward Island. Now, I can imagine that a few of you have some clicking around to do. You've just been given a feast of links to follow about to aid you in your Montgomery education. A few of my "clicks" lead to an interesting article published in The Shining Scroll who tells about the "Woolner Jug" which was a centerpiece of the story A Tangled Web . Fun article if you have a minute or two! Hope you all have fun browsing around a bit. Many thanks to Ms. Cavert for taking the time to explain the formation and purpose behind the L.M. Montgomery Literary Society! My read this month has been Emily Climbs, and as I've been finishing it up I've wondered how autobiographical it is in terms of Montgomery's ambition depicted through Emily's ambition. It's interesting about "The Shining Scroll" since that same (or a similar?) poem is Emily's inspiration, too. I always enjoy your extras during LMM reading challenge. Thank you, Mary Beth for sharing!! I love this month because I can count on you to bring forth more about Maud. I have learned so much in the past couple of years here! I have only just completed Anne of Windy Poplars. I look forward to each one. And I would SOOO enjoy a trip to PEI! I just wrote a post about the L.M. Montgomery Reading Challenge. I hope you enjoy it!